Are you unable to make changes to files on your USB drives and SD cards? Do you get a message saying the media is write protected? When you have a write protected flash drive, learn how to remove write protection. Instructions in this article apply to Windows 10, Windows 8, and Windows 7. When a USB drive or SD card is write protected, files on the media cannot be changed and can only be viewed. On write protected media, you’re able to read and copy files, but unable to write to and delete files. Your USB drive and SD cards may become write protected because of a virus. or because the lock switch on the media has been enabled. 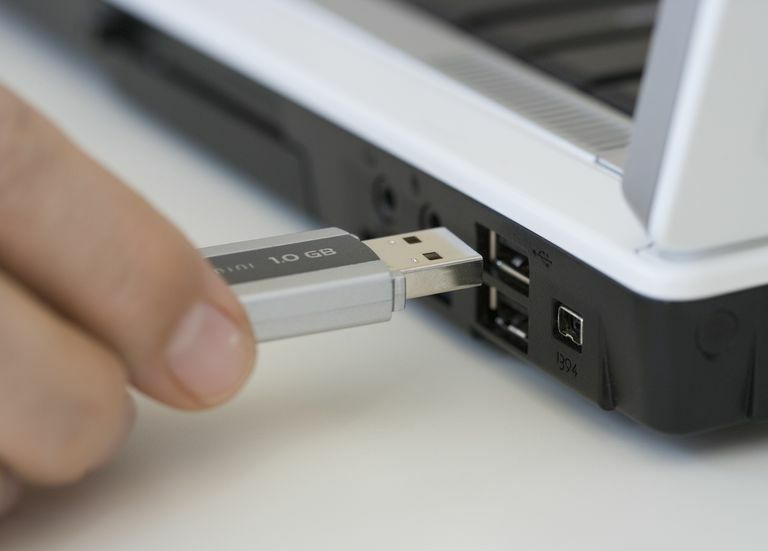 If your computer tells you the media is write protected, look for a write protection switch (also called a lock switch) on the USB or SD card. If the media has this switch, make sure the switch is set to write, not read-only. When you have a single file you want to make changes to but can’t, the file may be write protected. When a file is write-protected, it's marked as read-only. Insert the USB drive or SD card into the appropriate port on your computer. Navigate to the device and folder containing the file. Select the Home tab, then select Properties > Properties. In the Properties dialog box, select Read-only to remove the check mark. There are many ways to remove write protection from USB drives in Windows. One popular method is to change a Registry key, but this is scary to some people. A less intimidating method is to use diskpart. Enter "diskpart," then select OK. The User Account Control dialog box may appear and ask if you want to allow this app to make changes to your device. Select Yes to continue. Next to "DISKPART>," enter "list disk" and press Enter. In the list of mounted disks, find your USB drive and note the disk number. Look at the size column to locate the write protected flash drive. In this example, the computer hard drive is 29 GB and the USB drive is 977 MB. Enter the command "select disk disk_number," then press Enter. If, for example, your drive number is 1, enter "select disk 1." When the disk is selected, diskpart displays a message saying the disk is now the selected disk. Enter the command "attributes disk clear readonly," then press Enter. When write protection has been removed from the disk, diskpart displays a message stating the attributes were cleared successfully and the disk is no longer write protected. To close the diskpart window when you’re finished, enter "exit" and press Enter. If you’d rather use the Windows Registry to remove write protection from a USB drive or SD card, use regedit to make the change. Before making any changes, backup the Windows Registry. If you make a mistake and have problems with your computer, you'll be able to restore the Registry and return your system to its original state. Enter "regedit" and select OK. In the Registry Editor, navigate to HKEY_LOCAL_MACHINE > SYSTEM > CurrentControlSet > Control > StorageDevicePolicies. If you can’t find the StorageDevicePolicies folder, you’ll need to create a StorageDevicesPolicies key and a WriteProtect DWORD Value. Keep reading to learn how. Double-click WriteProtect to open the Edit DWORD dialog box. In the Value data text box, replace the number with a 0 (zero). Navigate to HKEY_LOCAL_MACHINE > SYSTEM > CurrentControlSet > Control. In the File pane on the right, right-click empty space, point to New, then select Key. In the Folders pane on the left, name the key "StorageDevicePolicies" and press Enter. In the Folders pane, select StorageDevicePolicies. In the File pane, right-click empty space, point to New, then select DWORD (32-bit) Value. Name the value "WriteProtect" and press Enter. Double-click WriteProtect to open the Edit DWORD dialog box and remove write protection using the steps above. If you use Windows 7, the process to edit the Windows Registry to remove write protection is a little different. In the Run dialog box, enter "regedit" and press Enter. Navigate to HKEY_LOCAL_MACHINE > SYSTEM > CurrentControlSet > Services. In the dialog box, enter 3.